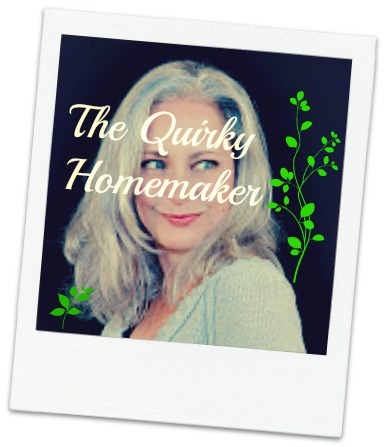 A long time ago, I needed to come up with a dinner with what I had in my freezer and pantry. I ended up making "Chicken Parmesan" with chicken nuggets, because that's what I had in my freezer. 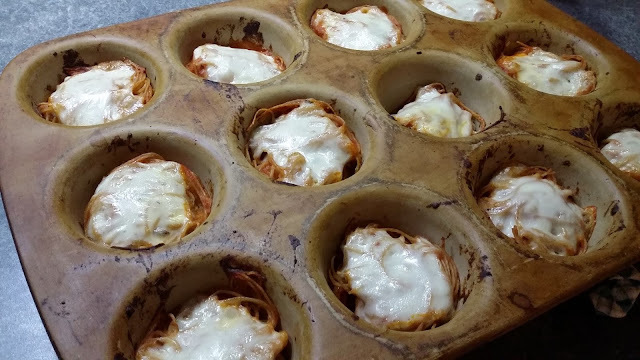 We recently made this easy version of Chicken Parmesan again, but I thought it might be fun to make them little individual Chicken Parmesans in a muffin pan. 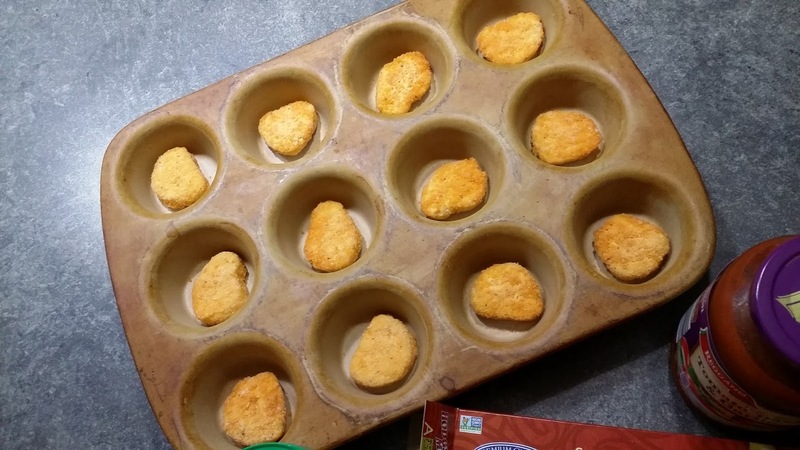 It seemed like the chicken nuggets would fit perfectly! And they did. My kids ended up loving them. In a large pot, cook pasta according to package directions. When pasta is done cooking, drain and return to pot. Pour sauce and parmesan cheese over noodles and stir until completely combined. Place one chicken nugget in each cup of a 12-muffin muffin pan. 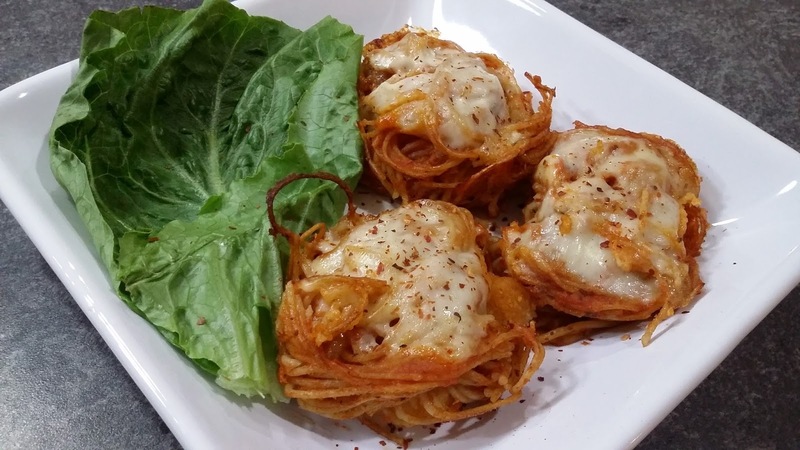 Use tongs to grab spaghetti and place on top of each chicken nugget. You can rearrange to try to get the amounts of spaghetti as even as possible. 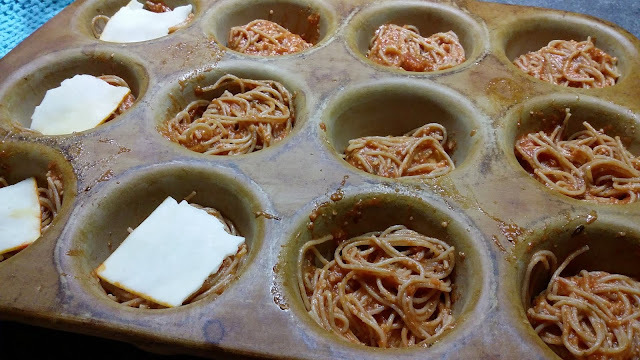 Place a square of cheese on top of each pile of spaghetti.